The British broadcaster looks to cash in on the cord-cutting craze that’s sweeping the United States. The BBC will launch a paid, on-demand streaming service in the U.S. next year, its head honcho Tony Hall revealed Thursday. It’s a move designed to boost the corporation’s overseas income amid the prospect of a serious reduction in domestic funding. The UK’s public service broadcaster is by no means a newcomer to the streaming game. It has offered an online TV catch-up service called iPlayer in its homeland since late 2007, and until not that long ago, also operated a subscription-based streaming service in more than a dozen markets around the globe. 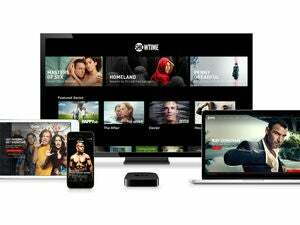 This upcoming venture, however, will be its first foray into the rapidly expanding U.S. streaming-video market. According to Hall, the service will not carry any BBC content that’s already available to American audiences through BBC America or any other network. In other words, there will be no Doctor Who and no Sherlock. This self-imposed restriction notwithstanding, the service will offer thousands of hours’ worth of content. “Next year, we’re launching a new video service in America offering BBC fans programs they wouldn’t otherwise get; showcasing British actors, our program-makers, and celebrating our culture,” Hall said while addressing the Royal Television Society conference in Cambridge, England. The story behind the story: There’s little doubt that the BBC’s self-imposed content restriction is to appease pay-TV providers operating in the U.S. who carry other BBC content. These operators had previously threatened to dump BBC America if iPlayer ever came to the States. Limiting content overlap between its American network and this upcoming streaming service should accomplish that goal.